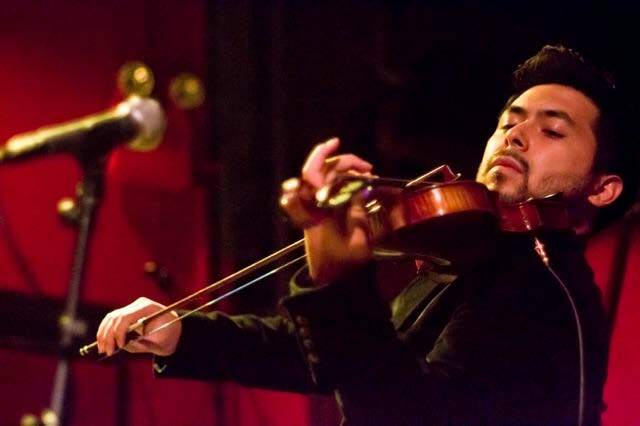 David Wong has been called a “Rock Star” in the violin world. Using both electric and acoustic violins, and sometimes his voice, he arranges rock, pop, and other top 40 hits into improvisation filled orchestrations. With over 4,700 Facebook fans, 20,000 Twitter followers, and 30,000 YouTube subscribers, David has attracted the attention of people around the world. He’s been discussed in Time Magazine, Huffington Post, MSN, Good Morning America and even had his videos featured on the YouTube Home Page. He currently has over 5 million YouTube views and you can find many of his recordings for purchase on iTunes. David has performed in venues ranging from Carnegie Hall to Hotel Café, and collaborated with artists such as indie rock band Air Traffic Controller and throwback cover song group, Scott Bradlee and Postmodern Jukebox. David began playing violin at age 4 and still loves his Bach and Brahms as much as his Katy Perry and Bruno Mars. He graduated from Amherst College in 2008 with a double major in Music and Asian Studies.